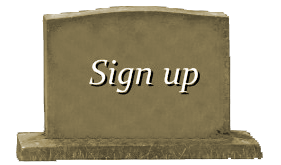 Hani Saleh Hasan Hanjour (Arabic: هاني صالح حسن حنجور‎‎, Hānī Ṣāliḥ Ḥasan Ḥanjūr; August 13, 1972 – September 11, 2001) was the Saudi Arabian hijacker-pilot of American Airlines Flight 77, crashing the plane into the Pentagon as part of the September 11 attacks. Hani Hanjour first came to the United States in 1991, enrolling at the University of Arizona, where he studied English for a few months before returning to Saudi Arabia early the next year. He came back to the United States in 1996, studying English in California before he began taking flying lessons in Arizona. He received his commercial pilot certificate in 1999, and went back to his native Saudi Arabia to find a job as a commercial pilot. Hanjour applied to civil aviation school in Jeddah, but was turned down. Hanjour left his family in late 1999, telling them that he would be traveling to the United Arab Emirates to find work. According to Khalid Sheikh Mohammed, Osama bin Laden or Mohammed Atef identified Hanjour at an Afghanistan training camp as a trained pilot and selected him to participate in the September 11 attacks. Hani Hanjour arrived back in the United States in December 2000. He joined up with Nawaf al-Hazmi in San Diego, and they immediately left for Arizona where Hanjour took refresher pilot training. In April 2001, they relocated to Falls Church, Virginia and then Paterson, New Jersey in late May where Hanjour took additional flight training. 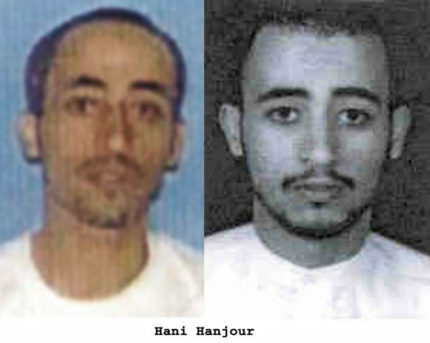 Hani Hanjour returned to the Washington, D.C. metropolitan area on September 2, 2001, checking into a motel in Laurel, Maryland. On September 11, 2001, Hanjour boarded American Airlines Flight 77, took control of the aircraft after his team of hijackers helped subdue the pilots, passengers, and crew, and flew the plane into the Pentagon as part of the September 11 attacks. The crash killed all 64 passengers on board the aircraft and 125 people in the Pentagon.